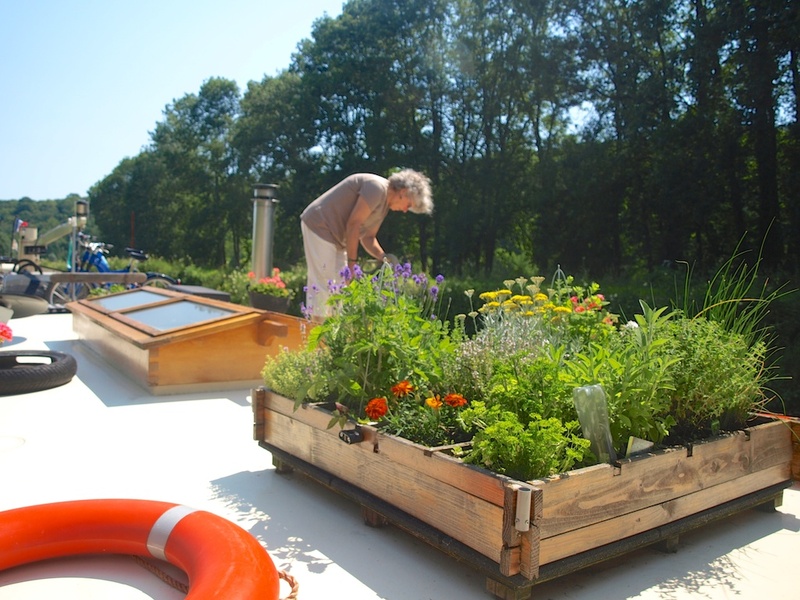 One of the delightful features of many barges is the display of flowers in boxes, hangers and pots that are carried around for the summer months. The splash of colour highlights the carefully maintained barge, or distracts from the rust spots – as reason and necessity dictates. On our short trip last year, we heard how Rebecca carefully stores her planters over winter, and then freshens them in spring ready for cruising. They are carefully nurtured, along with the herbs, for the duration of their travels. Admired by passers-by and as a source of fresh flavour in meals. Unfortunately, we won’t have the luxury of either time for preparation and growing a garden, or to be able to organise a set of containers. Never fear, one of our good friends has come to the rescue, with a set of electric flowers, powered by solar panels, to brighten our travels. Actually, we have form on this matter. My mother with MS could not maintain a garden, and my dad was not at all a keen gardener, so their house – while neat – did not have an especially colourful front yard. Imagine our surprise, then, as we arrived on a visit one day, to see a blaze of colourful blooms outside the front verandah! 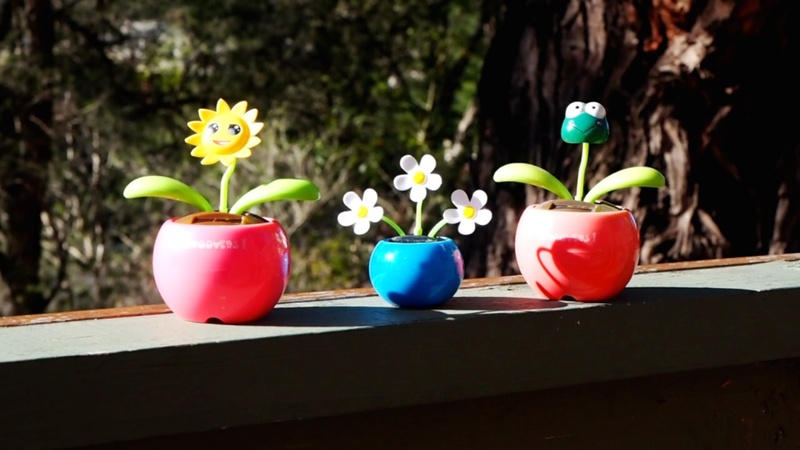 Who was green thumb who had planted them and how did they grow so quickly? Dad proudly announced that it was him – he had found a set of silk flowers on special and bought up a big batch. He had planted them in and aesthetic manner and had garnered many complementary comments. No one picked that they were artificial, and, as they were much easier to maintain, his plan was to plant more. He’d have approved of these. Any other deck decorations you think we should take?